Washington, DC—America’s leading consumer and passenger rights organizations today expressed deep concern at the lack of appropriate balance in the new membership of the Department of Transportation’s (DOT) aviation consumer protection advisory group. Specifically, the groups called on Transportation Secretary Elaine Chao to reconsider the appointments of Frances Smith of the Competitive Enterprise Institute and Maryland Transportation Secretary Pete K. Rahn to the DOT’s Aviation Consumer Protection Advisory Committee (ACPAC). 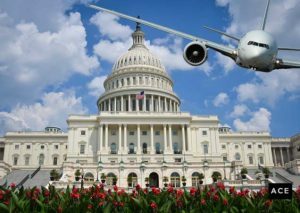 The groups pointed out that the current makeup of the four-person advisory committee may violate both the Federal Advisory Committee Act (FACA) and the FAA Modernization and Reform Act of 2012. The groups’ letter cited the failure of the ACPAC’s membership to meet FACA’s requirement that federal advisory committees be “fairly balanced” in the views represented. Smith spent the past 12 years with CEI, a pro-business think tank, and has never worked on aviation consumer protection issues. Secretary Rahn’s agency is statutorily preempted from working on consumer protection issues related to airline travel. The ACPAC’s other two representatives are the general counsel of the airlines’ largest trade association and executive director of the Indianapolis Airports Authority. In light of this industry-friendly slant in the makeup, the groups indicated that it is unlikely that the views of the flying public will be adequately considered by the committee. The FAA Modernization and Reform Act of 2012 requires that DOT appoint a “consumer representative” and a “state or local government representative” with expertise in aviation consumer protection to the ACPAC. Historically, the committee’s members included an experienced and committed advocate for aviation consumers and a state attorney general to represent the interests of the flying public. This enabled the ACPAC to make balanced recommendations on important consumer protection issues like accessibility for customers with disabilities, improving consumer complaint handling, and the need to educate flyers about their rights regarding delays and lost baggage. “To our knowledge, none of Ms. Smith’s extensive career experience has involved consumer protection matters pertaining to aviation,” wrote the groups. Similarly, the Maryland Department of Transportation aviation responsibilities are directed to management of Baltimore/Washington International Thurgood Marshall and Martin State airports, not consumer protection. As such, Secretary Rahn’s perspective is likely to be “essentially duplicative” of Mario Rodriguez’s, the Executive Director of the Indianapolis Airport Authority, noted the letter. In addition to the National Consumers League, the letter was signed by the Business Travel Coalition, Consumer Action, Consumer Federation of America, Consumer Reports, EdOnTravel.com, Public Citizen, Travelers United, and U.S. PIRG. To read the letter, click here (pdf).